Over a week has passed since the Supreme Court of India, in what will most commonly be described as the ‘fourth judges case’, struck down a constitutional amendment and a law enacted by Parliament seeking to reform the process of judicial appointments to the Supreme Court and High Courts. The amendment attempted to replace the judge-led ‘collegium’ system of appointments, which has been in place since 1993, with a six member National Judicial Appointments Commission (NJAC). By a four to one majority in a judgment of over a thousand pages, the Court struck down the amendment in its entirety. The significance of the case is exacerbated by the fact that this was only the fourth occasion since the ‘basic structure doctrine’ was announced that the Court has relied upon the doctrine to invalidate a constitutional amendment. Debates about the judgment have taken place across three dimensions: parliamentary supremacy, judicial independence, and the separation of powers. This piece attempts to isolate and deconstruct the implications of the judgment on each of these dimensions. Since the day of the court’s decision, several members of the establishment have criticized it on the basis that it undermines the supremacy of Parliament. This is somewhat peculiar, since parliamentary supremacy – a doctrine whose relevance has been long debated in Britain – has never taken root in India. Nevertheless, it is worth briefly pausing to consider whether there is any merit in the argument. Those criticizing the Court’s judgment on the basis of parliamentary supremacy could be referring to three principles. First, that there are no impediments to Parliament’s (ordinary) lawmaking authority. This understanding of parliamentary supremacy is patently incorrect, since the constitution, as originally framed, imposed considerable limits on Parliament. Second, that although there are limits to Parliament’s legislative authority, it possesses unlimited authority to amend the constitution through supermajorities. This understanding is defeated by the fact that all parties to the litigation accepted that the Supreme Court had the jurisdiction to determine whether or not the amendment violated the basic structure of the Constitution. The third possible reading of parliamentary supremacy is a mellowed version of the first two – since Parliament represents the will of the people, its legislation (and constitutional amendments) are entitled to some degree of respect. To begin with, it is doubtful whether the label of supremacy properly characterizes this claim. Even so, the government’s arguments in the case seem to rely on this notion of parliamentary supremacy. For example, the Supreme Court recorded the government’s argument that the amendment was approved almost unanimously in both Houses of Parliament, and ratified by an overwhelming majority of states. This was a redundant argument as a matter of formal constitutional law – under which, once an amendment is enacted, the extent of its support is irrelevant to adjudication. Instead, the government was seeking to make a prudential argument based on this conception of parliamentary supremacy – that the Court should defer to the voice of the people, expressed by the Houses unanimously. The Supreme Court was correct in refusing to take the bait. The Court already confers legislation and constitutional amendments with a level of respect through the ‘presumption of constitutionality’, which places the initial burden of proving that the law is unconstitutional on he who challenges it. Additional layers of ‘respect’ in this case would risk abdication. The second, more powerful, dimension on which the court’s judgment has been critiqued is its approach to judicial independence. That the independence of the judiciary forms part of the basic structure of the Constitution, and thus cannot be compromised, is uncontroversial. The contestation, however, took place at one step removed from this – is primacy of the judiciary in the appointments process the only, or the best, method of ensuring the independence of the judiciary? The four judges in the majority answered in the affirmative. This was a serious error. As the dissenting judge notes, the argument that the primacy of the judiciary in the appointments process is the only way of securing independence has no basis in constitutional history or political theory. An article in the Indian Express cites several examples of judges who, although appointed by the establishment, proved to be vigorously independent (in fact, fixed salaries and security of tenure are guaranteed to facilitate this objective). But the argument need not be taken that far. The Supreme Court was not making a binary choice between primacy of the judiciary and primacy of the executive. It effectively ruled all ‘non-primacy of the judiciary’ options out of bounds. In other words, the Court would not have been acting inconsistently had it held that the primacy of the judiciary did not form part of the basic structure of the Constitution, but that an appointments process that established primacy of the executive would violate it. The majority committed a still more fundamental error. It is far from self-evident that the NJAC does not, in fact, grant primacy to the judiciary. In order to understand the argument, it is worth briefly recollecting the composition of the NJAC. The NJAC would consist of six members – the Chief Justice of India, the two most senior judges of the Supreme Court, the Law Minister, and two ‘eminent persons’. These eminent persons would be nominated for three-year terms by a committee consisting of the Chief Justice, the Prime Minister, and the Leader of the Opposition in the Lower House, and would not be eligible for renomination. The Supreme Court made two unfounded assumptions. First, it assumed that the nomination committee, on which the Chief Justice was outnumbered, would appoint politically inclined ‘eminent persons’. To presume that the Prime Minister and the Leader of the Opposition would coalesce against the Chief Justice is strange in conditions of electoral uncertainty, in which parties seek to hedge against defeat in the next elections. Second, the Court assumed that the judges, on the one hand, and the Law Minister and two eminent persons, on the other, would vote as separate blocs. It is easy to conceive of why judicial primacy is threatened when three judges vote in favour of, and the three other members vote against, a candidate. But what of (perhaps more realistic) situations in which, for example, two judges and the Law Minister vote in favour, and one judge and the two eminent persons vote against? Or better still, when three members (including one judge) vote in favour, two members (including another judge) vote against, and the third judge is absent or abstains? Perhaps the majority’s best argument is that in a hypothetical situation in which the three judges vote in favour of a candidate, the ‘two-member veto’ provision would enable the eminent persons to block the appointment. The Court had a large set of interpretive tools at its disposal to deal with these and other concerns without striking down the amendment. For instance, it could have restricted the application of the veto provision to the judges alone, granted the Chief Justice a veto power in the process for appointing eminent persons, or defined ‘eminent persons’ more narrowly. Abandoning its standard process of constitutional review, the majority failed to consider these interpretive options. Three of the four judges offered no reason for refusing an interpretive solution in this case. One of them avoided interpretive solutions on the basis that it would place the court in a ‘catch 22 situation’, for these solutions would ‘amount to judicial overreach and the judiciary rewriting the statute’. This is a slightly disingenuous argument. Judicial overreach is an unsatisfactory explanation when the Court is deciding the validity of amongst the most significant constitutional amendments of our time. It is highly debatable whether overreach concerns are more pronounced when the Court strikes down the amendment and returns to the status quo of an appointments system established by judicial fiat, as opposed to when it upholds the amendment after adopting interpretive solutions. We get some more clues about why the Court may have avoided interpretive solutions after placing the majority opinions side by side. It turns out that apart from the broad outlines of the judgment considered thus far, there are many aspects of the case on which the judges disagreed. Whereas the leading majority judgment expresses skepticism about the very inclusion of ‘eminent persons’ on the NJAC, others on the majority did not share the same concerns. Giving the example of Nobel Laureate Amartya Sen, one judge saw value in contributions of eminent persons with no training in law, in contrast with the leading majority opinion, which would have restricted the field to eminent lawyers and retired judges. Some judges thought that the provision requiring one of the two eminent persons to be a member of a protected class (‘scheduled castes’, ‘scheduled tribes’, ‘other backward classes’, minorities or women) was clearly unconstitutional, others were indifferent to it. Thus, any interpretive solution would have demanded the eminently preferable situation of a majority judgment in not just outcome, but also in reasoning. The separation of powers comprises the third dimension to the debate. Several of the majority judgments are sprinkled with discussions about how the amendment violates the separation of powers under the Constitution. Under traditional separation of powers theory, there are two broad reasons for which powers are separated between branches of government – protection of liberty and the efficient allocation of powers. These rationales demand different conceptions of the separation of powers. Whereas the ‘liberty’ rationale requires avoiding the concentration of power in any branch of government, the efficiency rationale requires strictly dividing powers based on institutional competence. The majority opinions clearly indicate that their attention is directed towards the ‘liberty’ rationale for the separation of powers. Ironically, the leading majority opinion refers to an interview of L K Advani, a veteran leader of the Bhartiya Janata Party, in which he cautions against complacency that a sequel to the national emergency of 1975 would no longer be a realistic possibility. All the same, the leading majority opinion’s argument that the separation of powers requires the judiciary to be kept ‘absolutely insulated’ from the executive fails to square with its rationale for the separation of powers. If the opinion was making the more sophisticated argument that within the judicial branch, it is only the appointments process that should be entirely insulated from the executive, the argument requires significant justification. Although the dissenting opinion did not address this matter directly, it was clearly conscious of this, highlighting that the ‘judiciary is not the only constitutional organ which protects liberties of the people’. In sum, to criticize the Court’s judgment for failing to respect the principle of parliamentary supremacy is misconceived. Where the Court got it wrong was to assume that there is a single path to judicial independence, and that the separation of powers demands insulation, rather than checking. 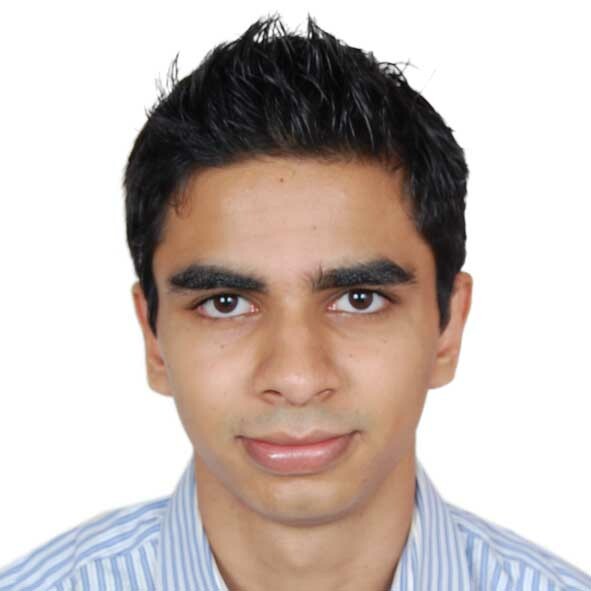 Chintan Chandrachud is a PhD Candidate at Sidney Sussex College, University of Cambridge and India Correspondent for the UKCLA Blog. This entry was posted on November 3, 2015 by Constitutional Law Group in India, Judicial review, Judiciary and tagged Basic Structure Doctrine.